Destin, Florida is located on the Florida panhandle between Pensacola and Panama City on the Gulf of Mexico. Originally a fishing village, over the past 30 years it has become a favorite beach vacation destination for families throughout the South and Midwest. It is much more family oriented than the Spring Break epicenter just to the east. While most people flock here in the summer, we prefer going in the fall. Here are the top 8 reasons to visit Destin, Florida in the fall. Cost – After the kids are back in school, the cost to stay in Destin rapidly decreases. The rates for renting a condo are on average about 25% less than than in summer. The later into the season you go, the less you will pay. Weather – Destin’s weather in September and October is perfect for the beach with daytime highs in the 80s and nighttime lows in the upper 60s. The Gulf breeze keeps things comfortable. It is not sweltering as in the summer months, but it is still plenty warm to feel like Florida beach weather. Water Temperature is still comfortable, even by Southern standards up until late October. It is still in the upper 70s to low 80s. This is much warmer than most of the year at Atlantic and Pacific beaches. Crowds – What crowds? Unless you pick a popular Fall Break week, then there are rarely any crowds to fight in the fall. It is busier on weekends, but rarely too bad. Beach chairs/umbrellas are readily available. Tables are open at restaurants. Shops are less crowded. Traffic jams do not exist. Beach View from our condo in Destin. 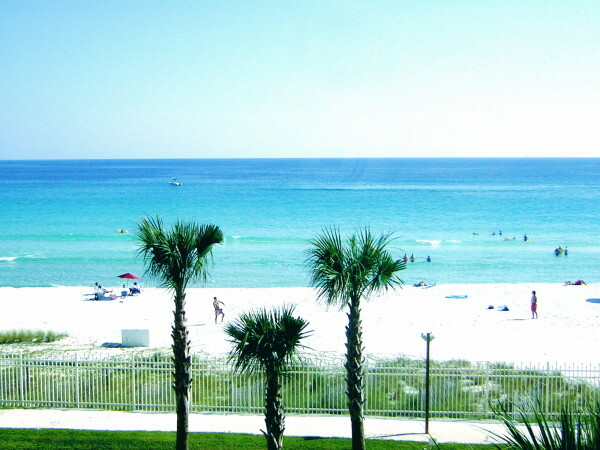 Beach – (This is still Destin! So, you still get the best of the Florida Gulf Coast!) 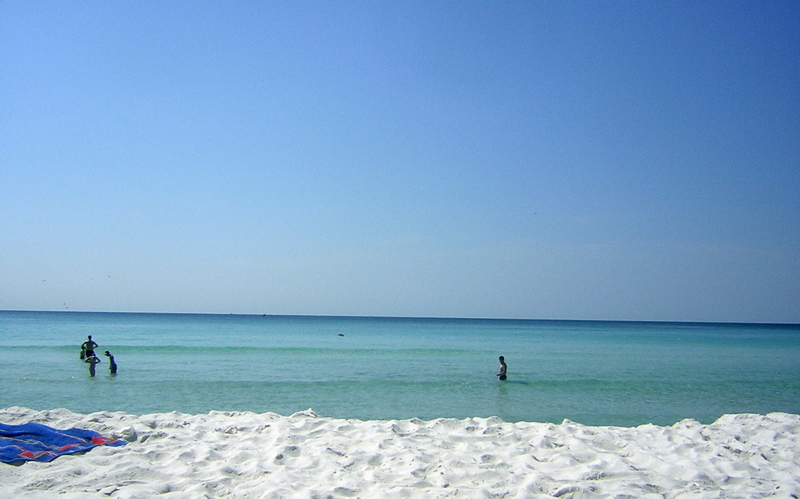 The Destin beaches are soft, powdery, and white. When you lie on the sand; you sink in; the sands shapes to your form; and it is never hard. The white of the sand lies in brilliant contrast to the clear turquoise gulf water. Food – Historically a fishing village, Destin harbor is still full of boats bringing in the daily haul of fish that is served fresh at the local restaurants. 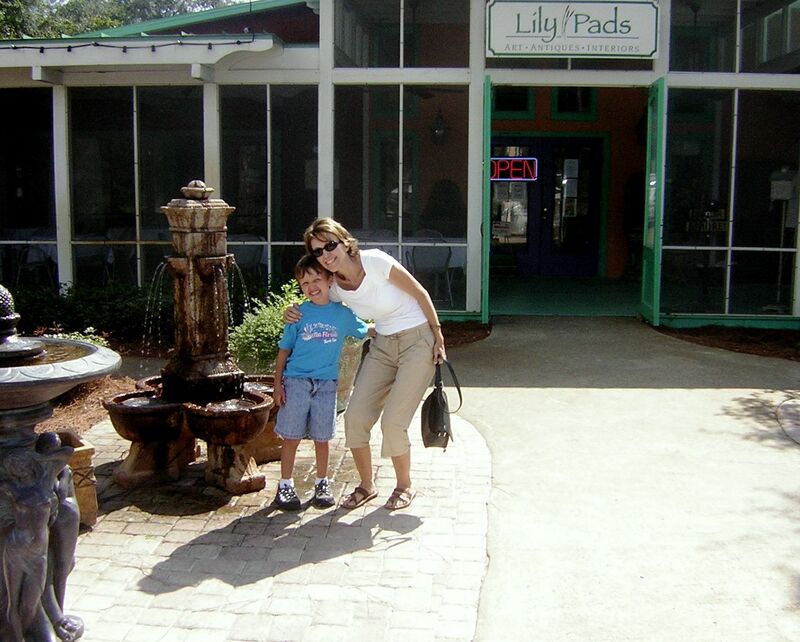 Our favorite is Captain Dave’s on the Destin Harbor. Simple, traditional seafood dishes are delicious. 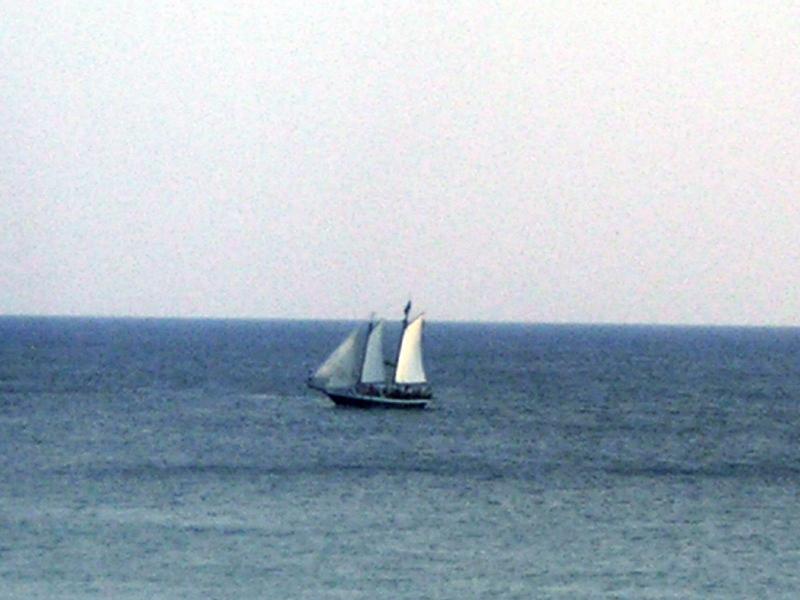 The view over the beach and onto the gulf is beautiful. We go at lunch when the prices are very reasonable. There are many other options from which to choose, too: Louisiana Lagniappe for Cajun, Pampano Joe’s for more seafood, Destin Fish Market to take back to the condo to prepare, and many more. Sea Lion during show at Gulfarium in Fort Walton Beach. 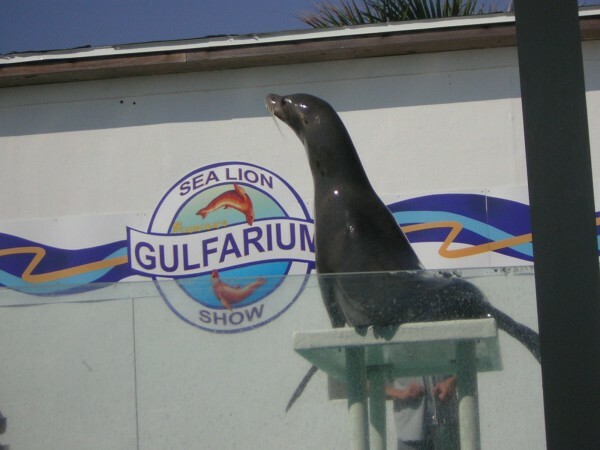 Nearby activities – A) Immediately west of Destin is Fort Walton Beach, home of the Gulfarium. If you and your family love marine animals (dolphins, sea lions, alligators), then this will not disappoint. We thoroughly enjoyed the whole experience, especially the live show. B) On the north of Fort Walton, about a 10 minute drive is the Air Force Armament Museum. Get upclose with B52 bombers, F14 Tomcats, Blackbirds, and more. Admission is free. C) Tour 30A: Take at least a day to tour 30A along the coast in South Walton. I am not a fan of shopping, but this is different. I love browsing the art, handmade crafts, and coastal furniture. The architecture is beautiful: Florida cracker style in Seaside, Spanish stucco in Rosemary Beach, Coastal Pastels in Watercolor. There are excellent restaurants and a laid back vibe. Rent a bike and ride along the paved bike trail that spans the length. Destin, Florida has always been our families favorite Florida beach destination, and fall is our favorite time to visit by far. Give it a try and you will agree.